Winning is worth the wait for Ben Margulies, BeeXpress’ founder and managing director. The business had been close to taking the title for a couple of months and, undeterred, BeeXpress continued to work hard on getting excellent reviews and spreading the message about Which? Trusted Traders to its customers. This month that persistence has paid off. The judging panel felt BeeXpress was a cut above the competition, and were particularly impressed with its use of social media. Find out how your business can be the next Which? Trusted trader of the month. Read on for more about this month’s winner. Ben has been in the trade for 15 years, and running BeeXpress for the last five. He wanted to create a company that customers could trust, with the transparency and reliability that inspires confidence. ‘The main objective at BeeXpress is to offer customers experience, professionalism and excellent service,’ Ben said. Customer service is at the heart of the BeeXpress offering. Ben told us he regularly goes on manufacturer training courses and exhibitions, to ensure he’s up to date with the latest developments with different boilers and controllers. This means he can give his customers the best advice, and save them money if possible. He gets a lot of work through word of mouth, because people know that they can trust BeeXpress - something that’s really important to Ben and the company. Ben said: ‘One of the biggest targets for us is trust. I know it can be difficult for customers to let somebody into their home, but I want my customers to feel comfortable with using us. Joining the scheme didn’t necessarily make a difference to Ben’s existing customers, but he says it’s been really useful for new customers to find the company through the Which? Trusted Traders website, and to see the logo on the BeeXpress site too. A particularly inspired way of using the logo is on radiator keys, which Ben gives to all his customers at the end of a job. Despite being busy with customers old and new, somehow Ben manages to find time to keep up with marketing activity for BeeXpress. Ben is a popular figure on the Which? Trusted Traders social media platforms, regularly contributing to discussions and sending in images of how he uses the Which? Trusted Traders logo to promote his business. 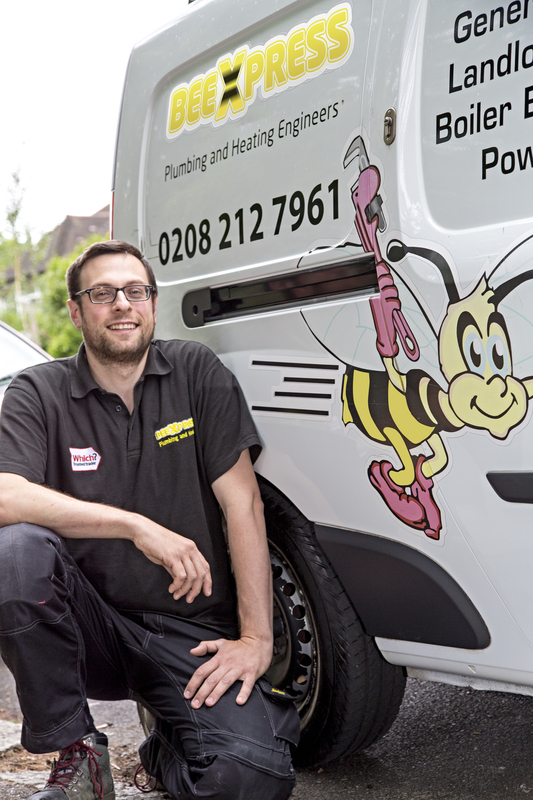 Congratulations to Ben and all at BeeXpress Plumbing & Heating Ltd – a well-deserved Which? Trusted trader of the month.